The eerie blue-eyed Siberian Huskies would have made great pets for white walkers. 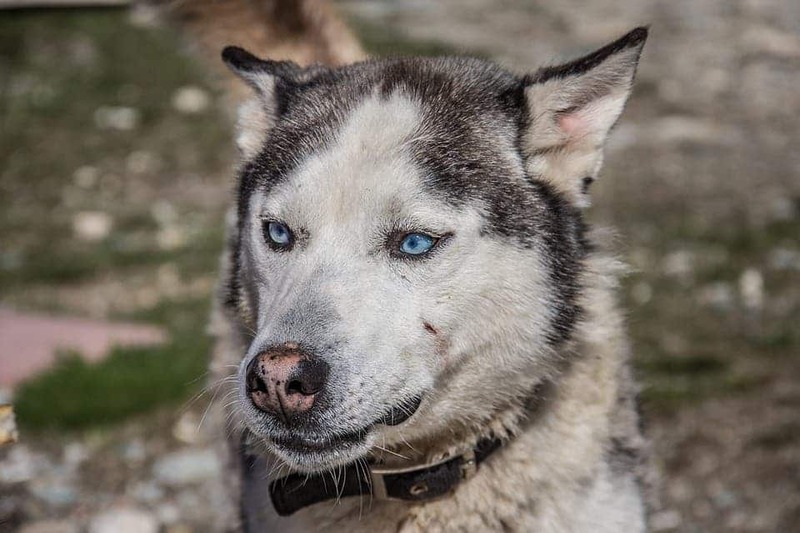 Now, the largest genome-wide association study for canines has revealed a duplication on canine chromosome 18 is responsible for the husky’s hypnotic blue eyes. Scientists know about two genetic variants that are associated with blue eyes in some dogs, but they do not explain the trait in Siberian Huskies. To find the genetic markers responsible for the husky’s trait, Embark Veterinary, a canine DNA startup, combed through DNA data from 6,070 genetically tested dogs. The researchers also had at their disposal phenotype data contributed by their owners via web-based surveys. Eventually, they came across a 98.6-kilobase duplication on chromosome 18 near the ALX4 gene, which is known to be important in the development of the mammalian eye. The researchers concluded that the gene duplication is responsible for the blue eye color in Siberian Huskies, but also in non-merle Australian Shepherds. In the future, other studies that investigate the functional mechanisms behind this association may explain the pathway by which blue eyes develop in mammals. Whether it is uniting women switched at birth 72-years prior or settling neighborly feuds, consumer genomics has caught the public’s interest. The highest profile among these has been the controversial case of the Golden State Killer, in which investigators linked a DNA sample found at a crime scene to a distant relative of suspect Joseph James DeAngelo Jr. using several consumer genomics services. What’s interesting about this new study is that it shows that consumer genomic data is not limited to human research. Who knows what kind of information we’ll find buried deep in the genes of man’s best friend? “Using genetic data from the pets of our customers, combined with eye colors reported by customers for those same animals, we have discovered a genetic duplication that is strongly associated with blue eye color. This study demonstrates the power of the approach that Embark is taking towards improving canine health. In a single year, we collected enough data to conduct the largest canine study of its kind. Embark is currently pursuing similar research projects in a range of morphological and health-related traits and we hope to continue to use our platform to move canine genetics and health forward in a very real way,” said Embark researcher Aaron J. Sams. Scientific reference: Deane-Coe PE, Chu ET, Slavney A, Boyko AR, Sams AJ (2018) Direct-to-consumer DNA testing of 6,000 dogs reveals 98.6-kb duplication associated with blue eyes and heterochromia in Siberian Huskies. PLoS Genetics 14(10): e1007648. doi.org/10.1371/journal.pgen.1007648.